i just checked in at ravelry, and realised i hadn't updated anything there in a long, long time... two baby cardigans have moved from wip to fo (one almost two months ago), and i have re-awakened a cowichan-style cardigan project for the kiddo, which i set aside sometime before xmas so i could concentrate on the one i made for my husband. the fronts and backs of "invadin ur space" are done, following the videogame theme, and on the weekend i joined the shoulder seams and added the collar. last night i charted the sleeve pattern. i wanted something a little different from the all-over aliens pattern of the body, so i took my inspiration from this photo i found on wikimedia commons, taken by billy hicks at an amusement arcade in lyme regis. 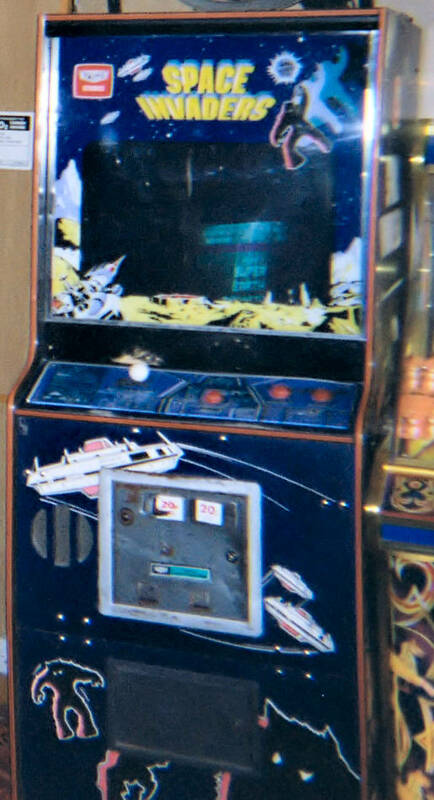 it's a japanese space invaders arcade cabinet, and i charted one of the alien gorilla beasties for the sleeve. not sure yet whether the second sleeve will be a mirror image, or different beastie. 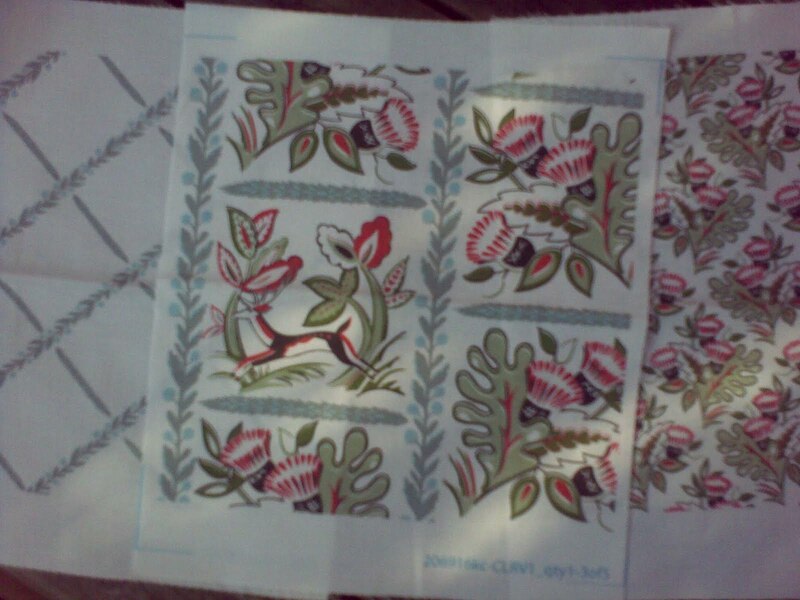 the fabric i ordered from spoonflower is here! 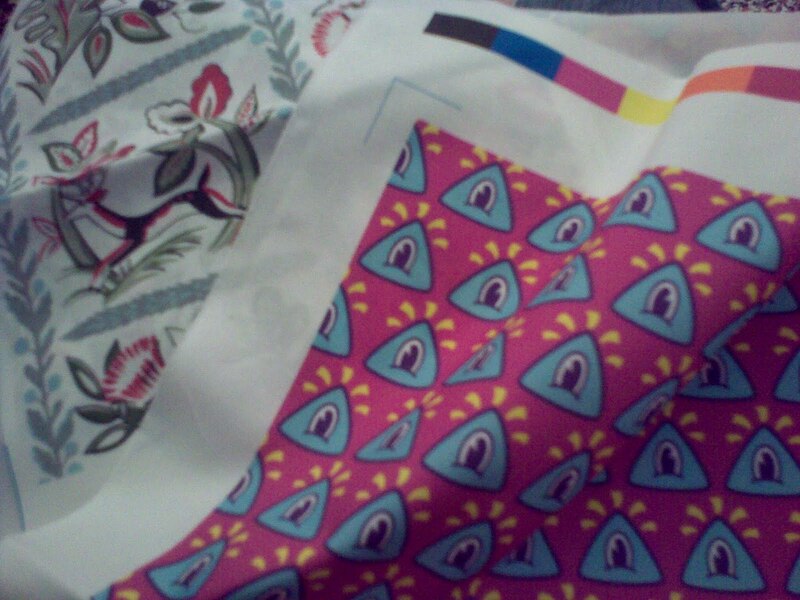 the eye of novelty fabric is going to be a shirt for the kiddo. when he saw it, he said, "if that's a shirt, i will wear it every day." 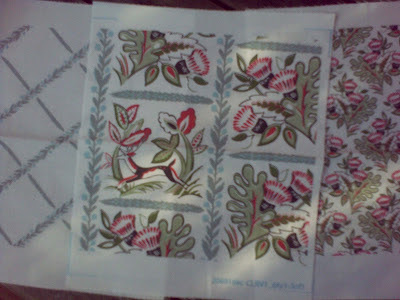 and this is the cottage curtains fabric, a project that's a long time coming. i really like the look of it. have to get up there soon, so i can compare it to the real thing and see if it needs tweaking! 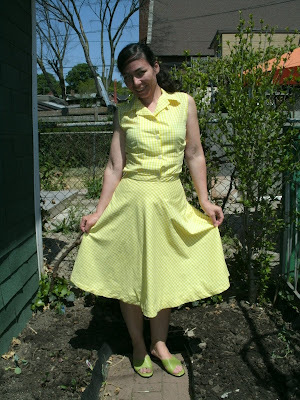 so watching bye bye birdie the other day made me fall in love with yellow all over again. everyone was wearing yellow in that film - from ann margret's iconic dress from the opening sequence, to janet leigh's fringed number (and her brassiere), to various minor characters (including the little brother's pyjamas). it's like a breath of fresh air, all fluffy sweetness and light, combined with the lovely silhouette of that era, probably the last year with a hint of dior's new look before mod took over. so of course i wanted a taste of that, and took advantage of a rare day for myself, and pulled out the elna supermatic. i had bought some yellow gingham a while ago with the intention of making myself a summery ensemble, and the day had come! now, i know i have more sewing patterns "somewhere" but of course no simple blouse pattern was presenting itself, so i drafted one. and i am pleased to say, it fit perfectly with no alterations required! usually i fall prey to some form of body dysmorphia and over-compensation and over-compensation for over-compensation, which requires some taking in or disturbingly misplaced darts. but this time i got it right. even the collar sits perfectly. yay! and lots of nice compliments when i wore it to work the next day. think i'll be making another blouse or too from this pattern. i'm very keen on the "sleeveless/short-sleeved blouse under a cardigan" look, lately. a bit prim, but that is fine. i also made a half-circle skirt to go with - the effect of a shirtwaist dress, but more practical/versatile for me. i love the half-circle cut. and it is easy easy to do. 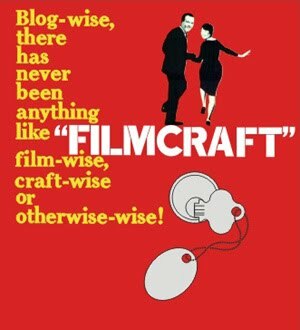 and somewhat more wearable than a full circle! because the gingham is such a lightweight fabric, it's fully lined in cotton muslin.